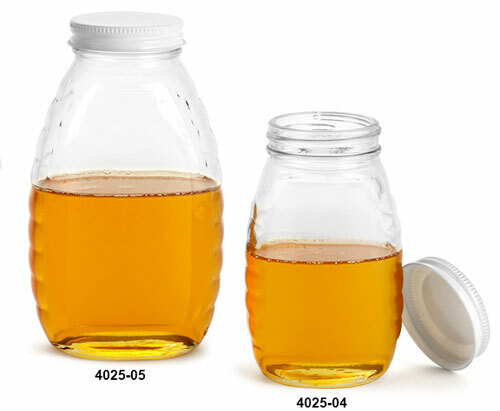 These clear glass honey jars are available in two sizes and include white metal plastisol lined caps. When heated to proper temperatures, the plastisol liner melts and forms a hermetic seal with the glass jar as it cools. These classic style clear glass honey jars could also be great for packaging sauces, marinades, dressings and other food products. As always, test your products with the packaging to ensure proper compatibility. Purchase the classic style clear glass honey jars in bulk for the best possible prices. Choose compatible caps for your clear glass jars by clicking Add-ons below. 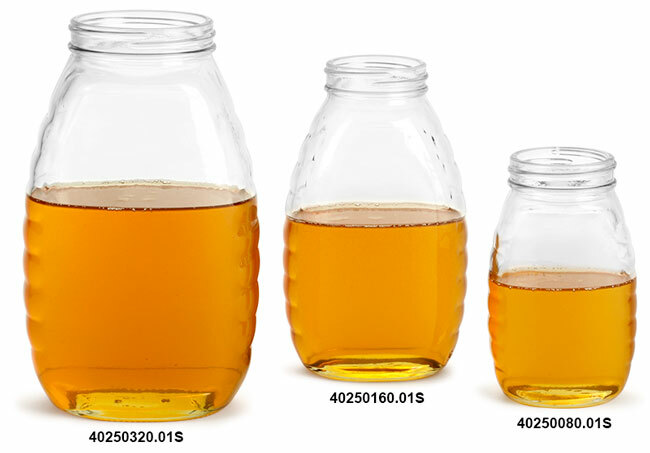 * Note: Honey jar sizes are expressed in terms of "Honey Weight", NOT fluid ounces.